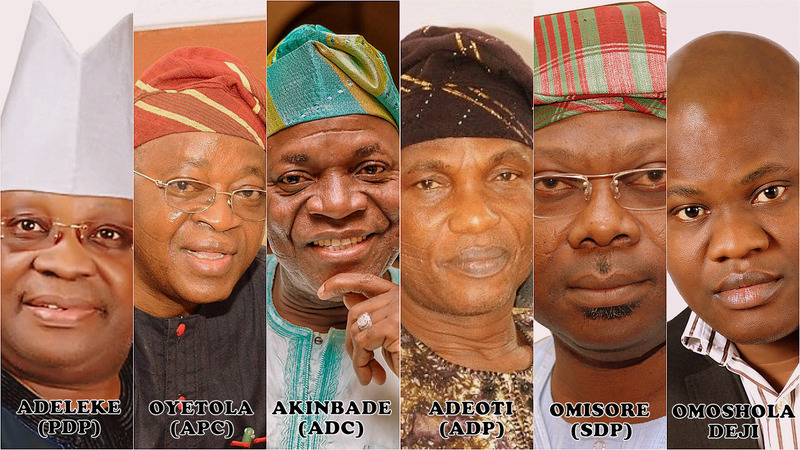 Voter’s decision in the Osun election would be determined by a lot of factors. 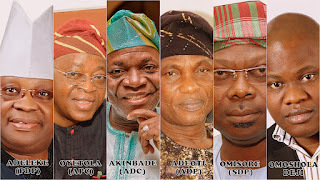 The ethnic politics being played at the federal level and other states of the federation is also reigning in Osun. ADP’s Adeoti has been playing the ethnic card. He is vigorously campaigning that the - unconstitutional but - conventional rule of rotating governorship position among the three senatorial zones of the state has been violated. Adeoti argues that since Nigeria returned to democratic rule in 1999, only the Osun-West senatorial district is yet to produce a governor out of the three districts in the state. The Osun-Central senatorial district produced Bisi Akande (1999-2003) and Olagunsoye Oyinlola (2003-2010). Both cumulatively ruled the state for over eleven years. The incumbent governor Rauf Aregbesola (2010-2018) comes from the Osun-East Senatorial district. Adeoti - who was a key member of the APC before decamping to the ADP - is aggrieved that the APC picked Oyetola, from the Osun-Central senatorial district, as her governorship candidate. Adeoti argues that the party’s ticket should have been given to someone, preferably him, from the Osun-West senatorial district. Ethnic affiliation controls voter’s emotion in Nigerian elections. Adeoti’s anti-marginalization campaign strategy may have earned him substantial votes in his constituency, the Osun-West senatorial district, but PDP’s Adeleke and SDP’s Omisore are also from this constituency. Omisore’s governorship ambition is plagued by negative public opinions. Majority of the Osun population believes he ordered the assault on late Senator Isiaka Adeleke when they were both competing for the PDP governorship ticket in 2014. Omisore also has also been unable to erase the public perception that he is complicit in the assassination of Bola Ige, Nigeria’s ex-Attorney General. Even though Omisore has been tried and acquitted, his political opponents still raise the dust on Ige’s assassination during election season. As a veteran contestant with political structures across the state’s 30 local governments, Omisore’s accrued votes will predictably rank him among the top three, but may not earn him a win. Note: Foretelling an election outcome doesn’t mean the pundit have access to one sacred information or the election winning strategy of any candidate. Assessing the strengths and weaknesses of candidates to predict who’ll win is a common practice in developed nations. This doesn’t mean the pundits are compromising the electoral process or influencing the election results. Osun people have already decide who they’ll cast their votes for and nothing - not this piece - can easily change their minds. The pundit’s election prediction is made based on the expectation of a free, fair and credible election, not electoral fraud.